Total abandon and mental effortlessness unite two masters of uneasy escapism and send them on journey into enigma. 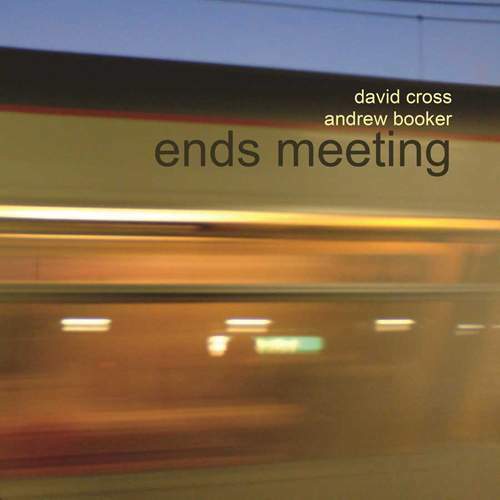 Never a second fiddle, David Cross‘ violin was as defining and vital for KING CRIMSON as Andrew Booker’s electronic drums were for HARMONY IN DIVERSITY, so – with both artists adept at working in improv-bent trios – it’s hardly surprising that, together, they could whip up an impressive soundscape which is bursting with life. And this was what the two did during a session whose results remained unreleased for more than a decade, yet, marinated or not, the tracks – amounted to an album in the end – still retain the original vigor and freshness. Still, there’s a csárdás-like folk frivolity in David’s delivery, a precursor to his later classical escapades, keeping the tunes out of rarefied air to let music breathe, especially when pizzicato is involved, but Andrew’s delicate jingle on “Sleek” can be an even better anchor, because patterns like this introduce a mantra link to melodic meander. And then there’s the title track, an entity unto itself, that defies its epicness by constantly going through genre-morphing motions and fusing Cross and Booker’s individual manners in something else – in spontaneity based on solid experience. If they were able to build an album on such a foundation, they can bring on another bout of surprises and tie another lot of loose ends. Time to get together again.